Uh-oh, you know what that means! 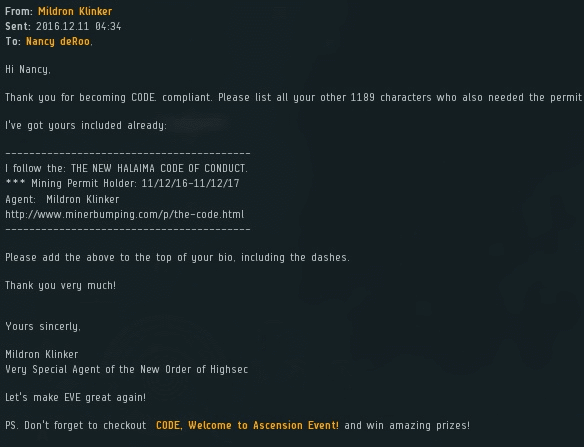 It's time for yet another edition of the Highsec Miner Grab Bag! We begin with hugh mungus Orti, who's just a bad seed. How can we tell? He was ganked while piloting a mining Moa. What a psycho. I'm not sure what Engel Bigballsov was driving at, but it doesn't sound like he's a Gallant miner. The fame and acclaim of the New Order continues to take root in highsec. 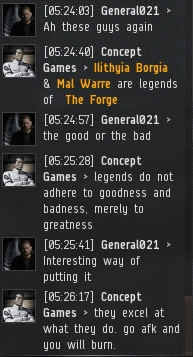 We make all of CCP's hard work on this game worthwhile. Of all the impostors running about lately, Jamez 315 is among the least convincing. We remain on our guard. According to Meltonius, only the immature play EVE for the spaceship combat. The grownups sit around all day mining AFK. Typical miner. They disrupt highsec and then demand to be left alone. Good news, the Code's back on! Agent Mildron Klinker was astonished when he opened his wallet and saw that someone had given him 11.9 billion isk. What could this mean? After thinking about it for a while, Mildron finally realized what had happened. In retrospect, it was obvious. Our Agents aren't just warriors--they're the most professional and efficient administrators highsec could ever hope for. 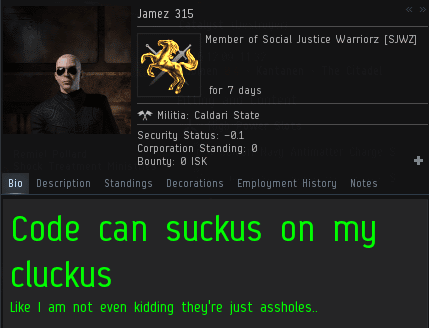 How long must I wait for the daily deposit of highsec shitter PHag salt? I know you highsec crybear H.O.M.O.s won't let me down! And just like that Mildron became the #1 permit seller in The New Order of High Sec, nice job! Lol like a hundred years worth just to that one miner. Agent Kilnker does seem to have a knack for it. Remember that player that was buying a permit from every agent? Nancy deRoo said "I can do better than that." 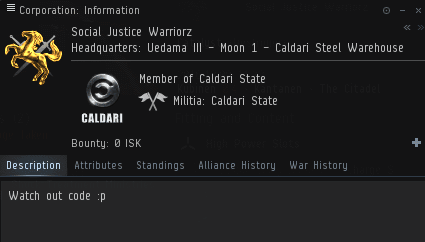 PVP with a tier 3 ISK faucet! "We remain on our guard." 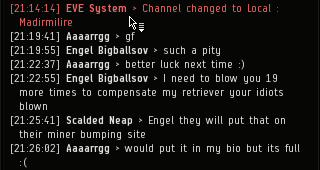 wow antigankers would need to win months of griffin bpc's to get that amount of isk! Thats a lot of blue loot scoopin at uedama . bundle of thanks for blue loot scooping.